This week on the show, Casey finally saw The Last Jedi and we get to dig in our heels (into salt covered red-sand) and talk about his thoughts and feelings! Before that, Greg gets small and tells us about how he watched Downsizing. And finally, Dan stayed at home and caught the terrible Toxic Shark as punishment. 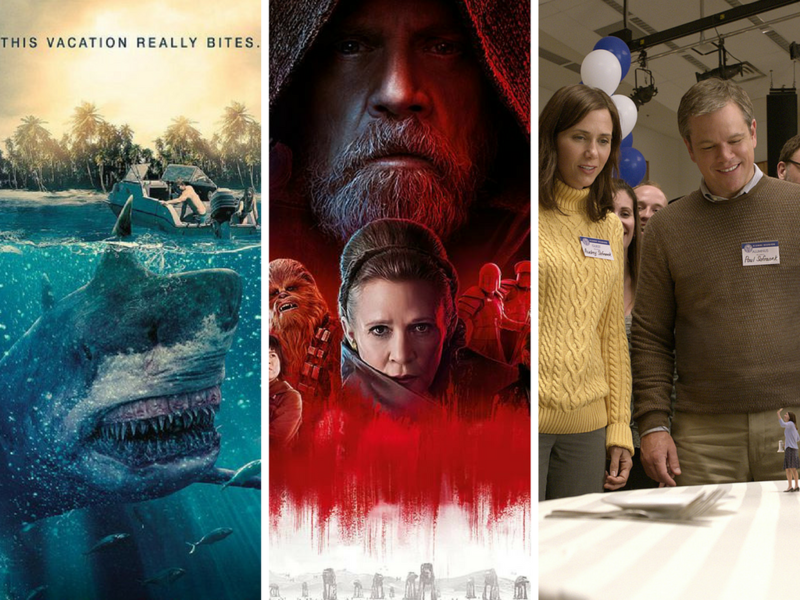 But before even that, we discuss all the movie news that’s fit to ‘cast – from the Game of Thrones dudes getting Star Wars films thrown at them, to Jenny Slate voicing a Muppet Babies character in a new series. We also get into the movies we’ve been watching, from Mudbound to The Shape of Water, The Post to Wonder. All of this, plus so much more!